In a new collection of poetry about life and war as a pilot, parent, and outdoor sports enthusiast, Northeastern Minnesota author Eric “Shmo” Chandler delivers plenty in laughs and love—of family, of country, and of navigating one’s place in the world. Whether soaring at 40,000 feet, or carefully considering the flowers he encounters by the trail, his words are rich with insight and humor. 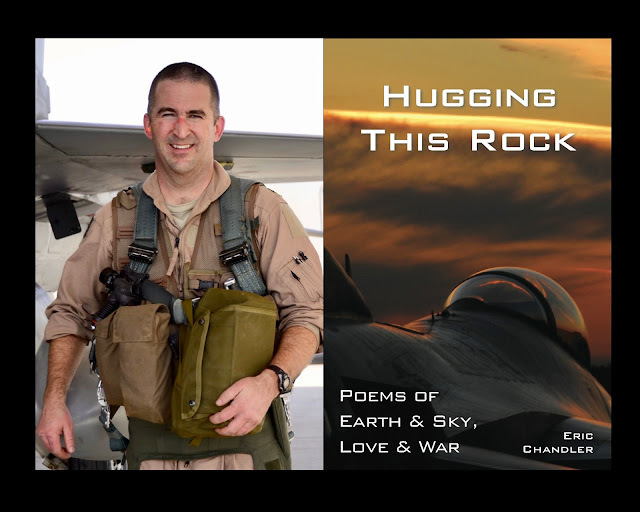 Published this week by Middle West Press LLC, "Hugging This Rock: Poems of Earth & Sky, Love & War" (116 pages, trade paperback) is now available in a $9.99 print edition, as well as a $5.99 e-book via Amazon. 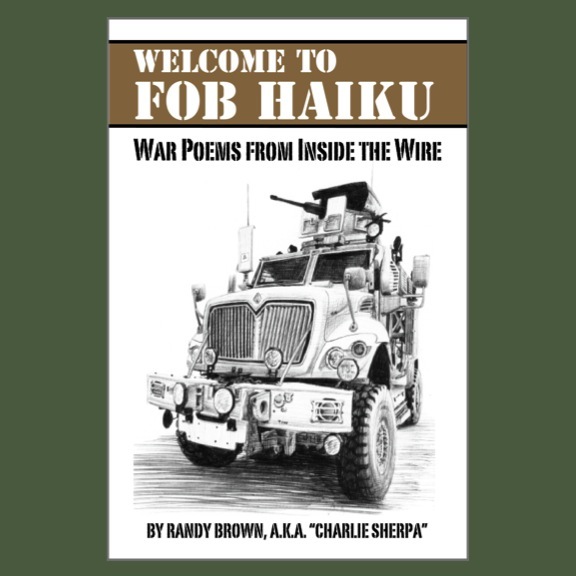 Chandler is a two-time winner of the Col. Darron L. Wright Memorial Writing Award administered by the on-line literary journal Line of Advance. He is a member of the Lake Superior Writers organization, the Outdoor Writers Association of America, and the Military Writers Guild. A 1989 graduate of the U.S. Air Force Academy, Chandler retired after a 24-year military flying career with the U.S. Air Force and the Minnesota Air National Guard. He is a veteran with three deployments to Saudi Arabia for Operation Southern Watch; three deployments to Iraq for Operation Iraqi Freedom; and one to Afghanistan for Operation Enduring Freedom. He flew over 3,000 hours and 145 combat sorties in the F-16. Now a commercial airline pilot, Chandler lives in Duluth, Minnesota with his wife, two children, and a rescued dog named Leo. Middle West Press LLC is a Johnston, Iowa-based editor and publisher of non-fiction, fiction, journalism, and poetry. 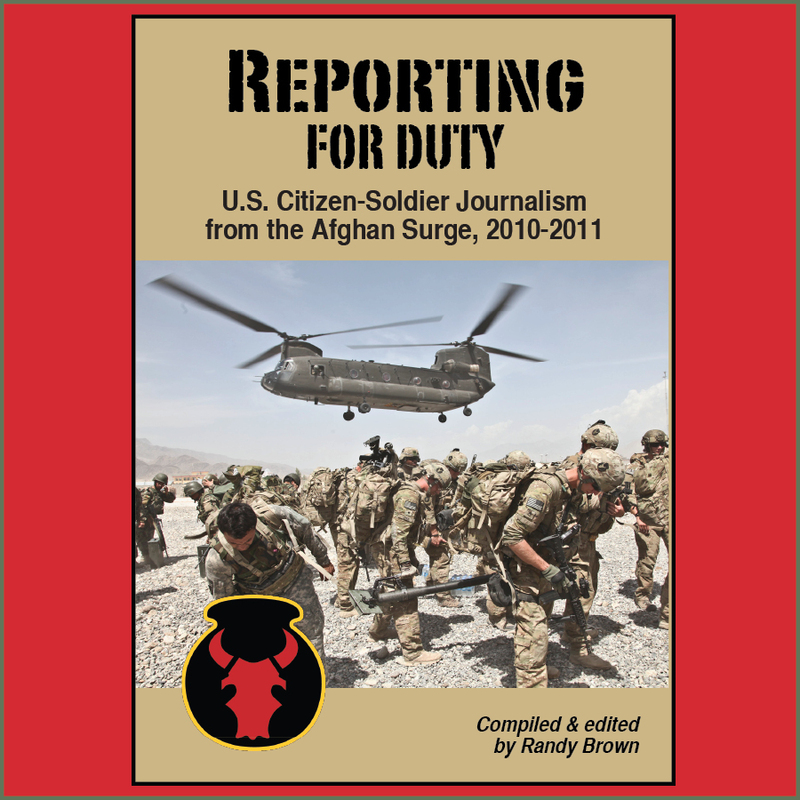 As an independent micro-press, we publish from one to four titles annually. Our projects are often inspired by the people, places, and history of the American Midwest. 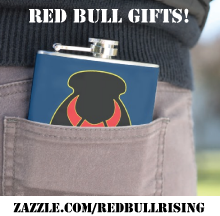 Great Red Bull Book & Holiday Gift Ideas!